The trade war between the United States and China has been a damaging one for both countries, and the troubles have spilled over two other nations as well. After all, a trade war between the world’s two biggest economies is almost certainly going to spill over into a global crisis. The two nations have been locked in talks for the last three months or so, and no deal has been agreed yet, however, US President Donald Trump said today that the two nations have agreed on some of the key issues that were holding up the deal. Over the past few months, there have been fears that the talks would eventually breakdown between the two nations due to disagreement on these issues, but they have continued to talk, and it seems that a binding deal might eventually be signed. Donald Trump is scheduled to hold a meeting Liu He, the vice premier of China and prior to that meeting, he made the comments regarding an ‘epic deal’. Trump said, “This is an epic deal, historic – if it happens. This is the Grand Daddy of them all, and we’ll see if it happens. It’s got a very good chance of happening.” However, he did state that despite the agreement on some of the stickiest points, there is some way to go before the trade deal could be agreed and ratified. 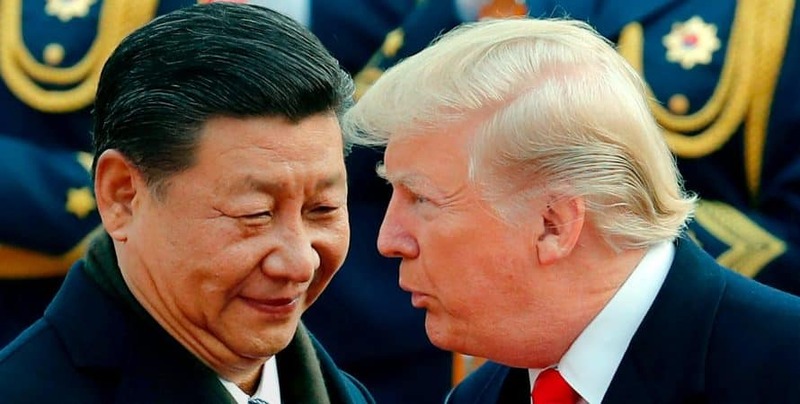 Once that happens, the US President will have a summit meeting with the Chinese President Xi Jinping, and that would bring to an end on one of the most damaging trade wars that have been witnessed in recent years. One of the biggest issues between the two nations was on deciding on the best way of ensuring that China sticks to the provisions of the deal. In addition to that, the process in which the retaliatory tariffs were going to be rolled back was also one of the key issues that had kept the two trade delegations locked in talks for days. However, according to a report in the BBC, there appears to be a disconnect between what the US President said and the signals that are coming from the head of the American negotiating team Robert Lighthizer. Lighthizer has apparently stated that, while talks are progressing, there remains a lot of work to be done before any agreement could be reached.